In today’s world technology every technological device gets a new upgrade, yesterday’s cool gadget soon becomes old news. So it is with laptops. They are not the center of attention anymore; smart mobile and tablets devices are the new trend. This is clearly apparent in the current financial investments being allocated to furnishing classrooms and schools with such technologies. Many of the world’s growing countries have launched government supported large-scale, initiatives to distribute tablet-computing devices to students of the K–12 academia. Most of these initiatives were launched with strong optimism and enthusiasm but little critical thought and planning to allow for successful implementation. Increasing attention has been paid to the use of information and communication technology (ICT) around the world. The magnitude of the financial investment is significant. Investments are being made with the goal of making K–12 classrooms more engaging and motivating and reforming educational systems, the hope of and the dream of bringing literacy to children in rural areas and breaking their isolation. 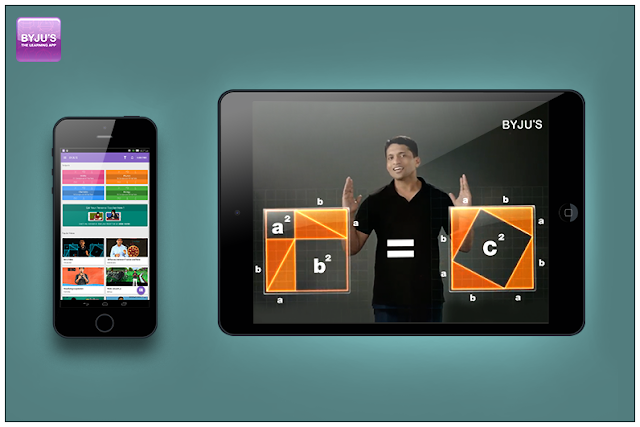 Students can now read their notes or NCERT Solutions anytime anywhere they like adding a fun factor to education. Large-scale, government-supported tablet initiatives have been launched in 11 countries around the world: Australia, Brazil, Iran, India, Pakistan, Jamaica, Kazakhstan, Turkey, United Arab Emirates, Antigua & Barbuda and Russia. To interest the modern student, who has access to a large number of high quality modern electronic materials that can be easily found in the Internet, smart education sets a number of tasks for teacher on which performance depends the effectiveness of teaching and students motivation to non formal and informal learning, which is based on the student's skill to study independently. Like how students prefer to study their NCERT textbooks in private without any disturbances of any sort. By conventional text linear (non-multimedia) materials, only presented in electronic format, nowadays is almost impossible, especially in formal training. We should create such resources that will integrate text, multimedia, feedback tools on the basis of specific teacher’s individual recommendations and external electronic resources that will meet individual needs and characteristics of the modern student regular user of the Internet resources and social networks. Therefore the integral components of information and educational environment of the modern university should be: institutional repository of knowledge with full-text electronic educational and scientific resources; educational portal, which provides electronic support of all student’s learning activities for each discipline in the form of e-learning courses with individual tasks and distinct and clear evaluation criteria that are implemented with tools and methods of forming assessment; video portal with multimedia resources for teaching and research activities. Some scholars define electronic course as didactic computer environment that contains classified material from the relevant scientific and practical field of knowledge that is combined by a single software shell. Download Free NCERT Books for CBSE Class 6 to 12 of Maths, Physics, Chemistry and Biology chapter-wise.